Firstie Favorites: All About Books: ROUND ONE! Yet another day off from school today... this time due to snow as opposed to sub-zero temperatures. Agh. I thought I would take some time to post about the All About Books that my students worked on in the fall. It was our first experience with nonfiction writing and we read TONS of non-fiction books about whales. I found a lot of my ideas from this fabulous post from The Inspired Apple. I sent an email out to the rest of the elementary staff requesting nonfiction books about whales or the ocean and was blessed with many responses and lots of great materials. One fourth grade teacher had THE BEST NONFICTION WHALE BOOK EVER, but I cannot find it anywhere online to purchase it for myself. I found some great Youtube videos about whales as well... and after many requests to sing "Baby Beluga," I broke down and found a video for that as well! 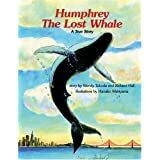 To begin the unit, I read the text, Humphrey, The Lost Whale: the story of a humpback whale who got lost and started to swim up the Sacramento River. The kiddos were enthralled!!! After reading the story, I displayed this poster at the front of the room and we spent a day just asking questions about whales... things we were wondering about. As students asked questions, I wrote them down on a post-it and let them stick it on the poster. After a day of just asking questions, we went to our set of nonfiction whale texts. We talked about how to look up specific information using the table of contents. As we came across the answers to our questions, I used a different colored post-it to write the answer. Students came up and connected the question to the answer. I wonder how whales eat and drink. I wonder how whales move in the water. I wonder how whales survive in the ocean. I wonder what whales can do. Students moved the post-its from our original poster onto the chart. We talked about how to organize our information. After organizing our information, we began writing All About Books as a whole group. Each day, we picked a category and wrote a sentence or two about that topic. I wrote our sentences on the board each day and students copied them into their ALL ABOUT WHALES BOOK (pick up a free copy here). All About Books gave us a great opportunity to discuss text features in non-fiction writing. Every day, we added to our table of contents. We always made sure that we used the same language on our table of contents that we used in our headings. One key element of informational writing is that our pictures match the text! On the last page in our books, we practicing labeling the parts of a whale's body. This unit took place in November and we are going to revisit informational writing and All About books in March. During our next round of All About writing, students are going to be doing more independent research and writing in small groups. Not sure how I am going to organize this yet... but I need to get going on it! This is fantastic! Do you happen to have the list of non-fiction whale books, or a good suggestion for a book? I teach Kindergarten and I want something kind of simple for the second week of school. (They don't have to be able to read it).